How does eating chocolate, drinking wine, or dancing the tango make people healthier? Wine! Chocolate! Tango!, the annual event sponsored by El Centro de las Americas, brings together people from all over Lincoln with exactly that goal in mind. The 11th annual Wine! Chocolate! Tango!, an evening filled with hand-crafted chocolates expertly paired with Latin wines and delectable hors d'oeurves, showcases the talents of the Lincoln Tango Club between courses – all for a good cause. 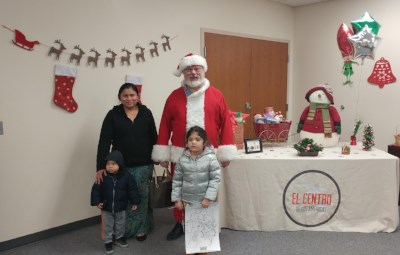 El Centro de las Americas, a non-profit serving Lincoln’s Latino/Hispanic community, works to strengthen and enrich families. Our mission is to educate and empower the families we serve, providing tools to help those in our community improve their quality of life. Wine! Chocolate! Tango! supports programs that help both adults and youth to live productive lives, by promoting education, helping to develop employment skills, encouraging good nutrition and fitness, and advocating for health literacy. 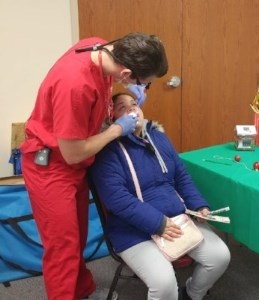 A recent successful example of health outreach included hosting the December 2017 Operation Santa event, attended by over 300 people. El Centro offered healthy beverage and tobacco cessation education; UN/L Dental College provided dental screenings; Walgreens administered flu shots; Bluestem Health (previously People’s Health Center) offered blood pressure screenings; and Family Health Services provided information about education about mammograms, PAP smears, and STDs. The Girl Scouts, Spirit of Nebraska promoted healthy living opportunities through the Girl Scout organization. This year’s Wine! Chocolate! Tango! 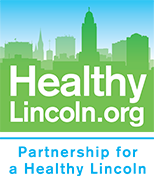 Event will be held on Friday, March 2, from 7 PM to midnight in the Lincoln Marriott Cornhusker Hotel Ballroom, located at 333 South 13th. The event will also include a silent auction that features luxury goods and services donated by Lincoln business, organizations, and individuals. For more information about Wine! Tango! Chocolate, visit El Centro's Facebook page. Contact Veronica Fleharty, Health Coordinator at 402-840-0755 or email her at veronica@elcentrone.org for information on health and fitness programs, or visit their web page.